Have you ever worked on an image while zoomed in but simultaneously wanted to see what your work looks like at a different zoom level? New View gives that capability. 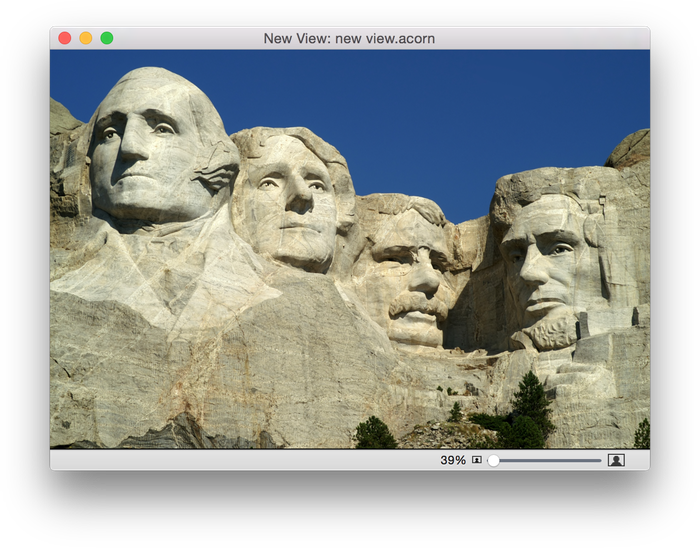 If you have an image opened up in Acorn, go to Window ▸ New View. 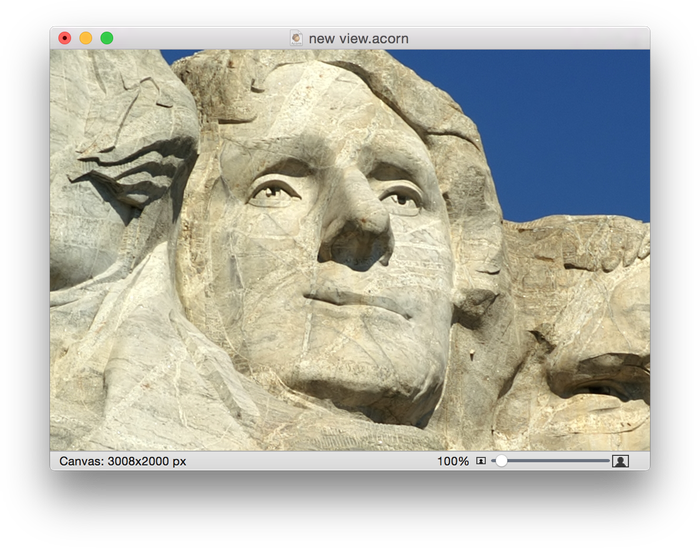 Your image will then show up in a separate window with your file name preceded by "New View:" in the window title bar. This is the window that you want to move off to the side so you can look at it while making changes to the main image. The New View is not an additional layer and you cannot modify it directly. 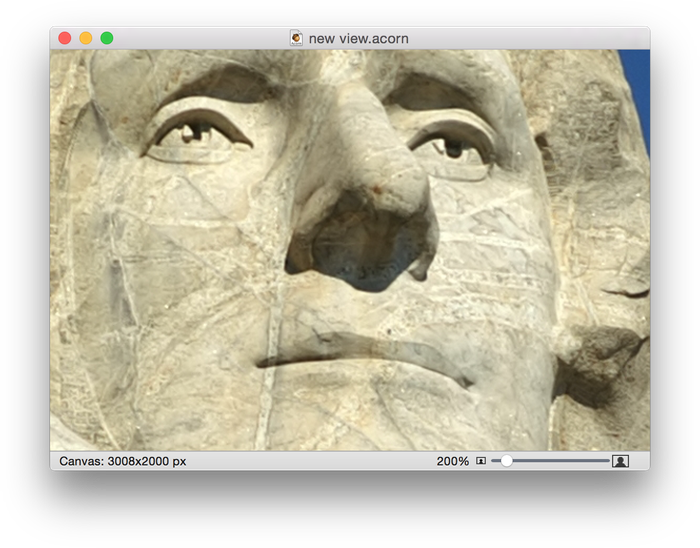 In the image below, the main canvas on the left is zoomed in on Thomas Jefferson's lips to give him a little smirk using the selection and clone tools. The New View window is on the right showing how the changes look when zoomed out.